Former Penn State University assistant football coach Mike McQueary leaves the Centre County Courthouse Annex in Bellefonte, Pa., on Oct. 17. As the verdict was read Thursday, the 6-foot-5 former Nittany Lions quarterback showed little emotion. He declined to comment upon leaving the courthouse. "What Penn State has done to Mike McQueary is outrageous," his lawyer, Elliot Strokoff, told jurors during his closing argument earlier in the day. "He should not have been a scapegoat in this matter, and certainly not for five years." Penn State lawyer Nancy Conrad declined to comment or say whether the school would appeal the verdict. She said Senior Judge Thomas Gavin, who presided over the case, had advised both sides not to make public statements. "This is not a case about Jerry Sandusky," Conrad told the jury. "Any harm that Mike McQueary has suffered . . . is the result of his own failures." But the jury clearly disagreed with those arguments. Among the claims it settled Thursday, the panel found that former university president Graham B. Spanier defamed McQueary in statements he released in November 2011 in which he publicly expressed support for two colleagues - then-athletic director Tim Curley and vice president Gary Schultz - charged with covering up Sandusky's crimes. The jury also found that Curley and Schultz lied to McQueary in 2001, when he told them what he had seen and they told him they would take care of it. 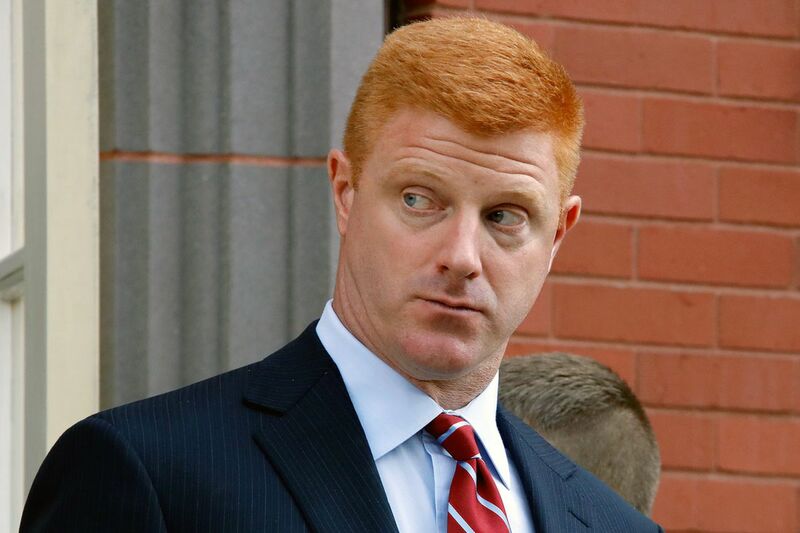 Jurors awarded McQueary $1.15 million for the defamation, another $1.15 million for Curley and Schultz's misrepresentations, and $5 million in punitive damages. Whatever the reason for McQueary's dismissal, it became clear through testimony of dozens of witnesses that the impact of the investigation that put Penn State's football culture under a national microscope continues to ripple five years later. And few people, McQueary testified last week, have felt those effects more than he has. He found himself a pariah in his own hometown in the days after Sandusky's arrest and facing questions over why he did not do more to personally to stop the assault he said he witnessed. He told jurors last week that he has been unable to find work since Penn State placed him on paid leave, citing safety concerns in the days after Sandusky's arrest, and later decided not to renew his contract. "He happens to be a very good football coach," Strokoff, his lawyer, told jurors. "But much more important than that is that he is an incredibly decent and good person. . . . Mr. McQueary has endured an awful lot in silence and with dignity." Since 2012, the school has paid more than $93 million to settle claims from 32 Sandusky accusers, and university officials have acknowledged the school bears some responsibility to the victims of its former assistant football coach, who is serving a 30- to 60-year prison sentence for the sexual abuse of 10 boys. Gavin said he expects to issue his ruling on McQueary's whistle-blower claims in the coming weeks.